The sedan segment is back once again with upgrades and new arrivals. Just like the Indian hatchback segment the competition is heating up in the sedan segment as well. Some of the top players in the segment are upgrading the old ones and some are gearing up to launch new ones. While Honda has come up with a new version of Civic, Toyota is receiving good response for Prius and Volkswagen Vento is eagerly anticipated by the car lovers. 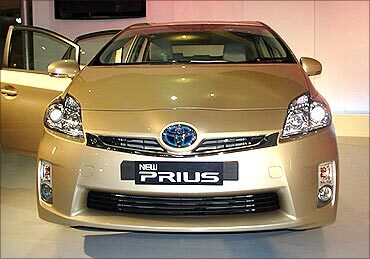 Prius, the world famous hybrid from the Toyota stable has received great bookings in just three months of its debut on Indian roads. Despite its high prices -- Rs 26.5 lakh (Rs 2.65 million) and Rs 27.86 lakh (Rs 2.79 million) (ex-showroom, Delhi) --Toyota Kirloskar Motors has, so far, received 80 bookings. The company had estimated sales of around 12 units a month and delivered 45 units since its launch in March. The environmentally conscious Indian buyers are opting for this hybrid beauty despite a waiting period of two months. Sandeep Singh, deputy managing director, Toyota Kirloskar told a car magazine, "The well traveled, technology enthusiasts and environment-conscious people are now willing to shell out that extra for a vehicle which is not just environment-friendly but also helps them to create a statement." Environment friendly vehicles that include hybrids and electric vehicles would be the vehicles of the future. Volkswagen's all new C plus category sedan is expected to be available in both diesel and petrol versions. The petrol version will have a 1.6-litre engine capable of producing 105 bhp (same as Jetta's) and the diesel engine could be a 1.6-litre common rail four-cylinder engine producing 105 bhp. There would be both manual and automatic options. 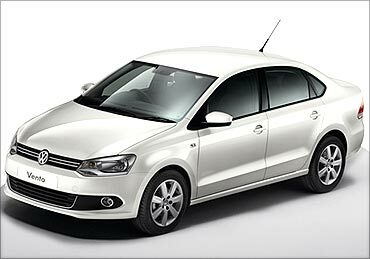 Volkswagen Vento is being expected around August September between a price range of about Rs 700,000 - Rs 900,000. 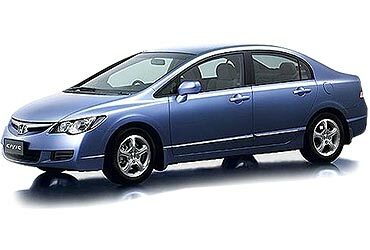 The car is expected to compete with Honda City. The D segment model by Honda launched Civic SMT, which has several new features to offer. The new model is priced between Rs 12. 2 lakh (Rs 1.22 million) to Rs 13.81 lakh (Rs 1.38 million). Honda Civic 1.8 SMT is priced Rs12.2 lakh (Rs 1.22 million), Honda Civic 1.8 VMT: Rs13.07 lakh (Rs 1.31 million) and Honda Civic 1.8 VAT: Rs13.81 lakh (Rs 1.38 million). This all new Civic has a steering mounted cruise control system, outside rear view mirrors (ORVM), turn indicators, parking sensors, anti-lock braking system with electronic brake, force distribution system and brake assist, dual SRS (supplemental restraint system) airbags and pre-tensioner seat belts. The move comes at a time when the competition is fast closing in and the Indian buyer needs frequent updates.